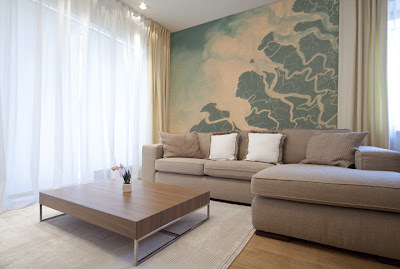 Today we're featuring an awesome wall mural of the Ganges River. You probably can't tell at first glance that the mural is of that sacred river system, but that's what we love about this wall mural design. The photograph was taken by a satellite and shows the many tributaries of the Ganges, but looks more like an abstract work of art. The Ganges River wall mural is available for purchase on our website here in multiple size and material options. If you don't want to cover a full wall, you can purchase a poster of this image for only $24.99. Custom wall mural sizes are also available to fit most any wall.